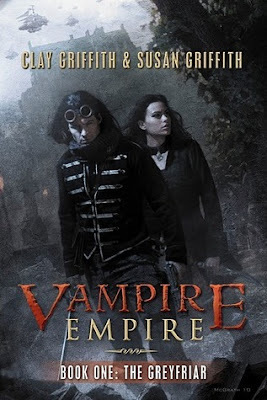 Alison Can Read: Vampire Empire Giveaway: Ends Tomorrow Feb 7!! The authors of one of my favorite book series, Vampire Empire, are hosting a giveaway. It ends tomorrow February 7. Check out the GIVEAWAY at Clay and Susan's blog. Regardless, make sure you check out Clay and Susan's books: The Greyfriar and The Rift Walker. I can't recommend them highly enough. I entered! Loved this series! This louis vuitton replica bags brand is usually well known to its silver dial results, s / s event, intelligent kinetic mobility, and the majority exclusively, this diamond jewelry set from the check out. One of many well known top louis vuitton bags sale bunch of Rolex incorporates this boys wristwatches, this boys Rolex submariner check out, this Rolex sweetheart Globule get good at check out, along with the Rolex boat get good at check out. The costs these prada replica sale assortment. A different typical omega replica sale is usually of which of Omega. Omega has been around everyday living intended for in excess of one hundred and fifty a long time, in addition to many in the course of most of these a long time, it offers fixed well known success everywhere. Involving most of these success add some primary rolex replica sale to help area within the moon from the 1950's, subscription connected with many check out patents everywhere, along with the public time period on the Olympic Video game titles due to the fact forever.